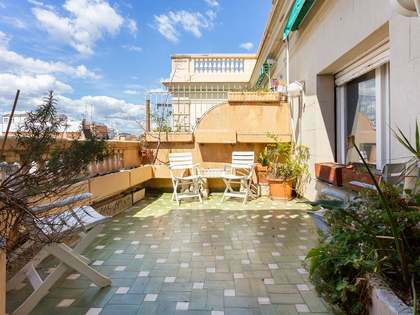 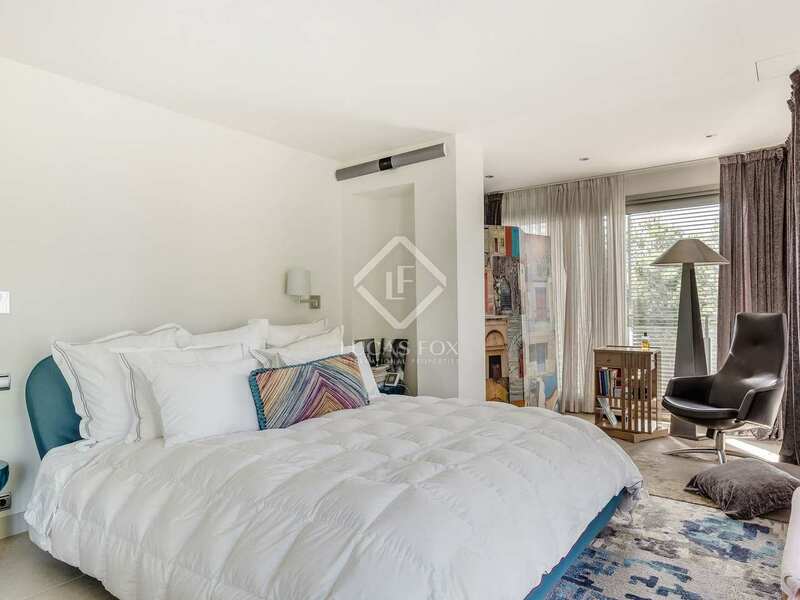 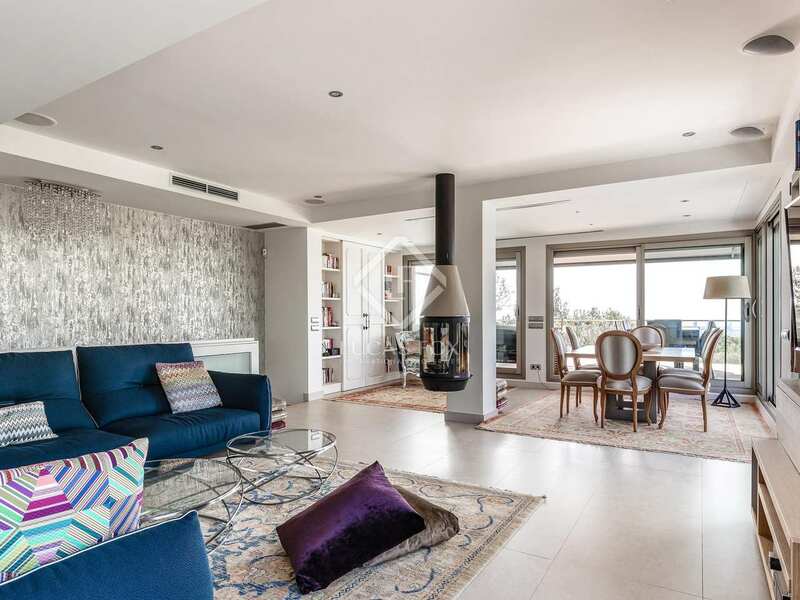 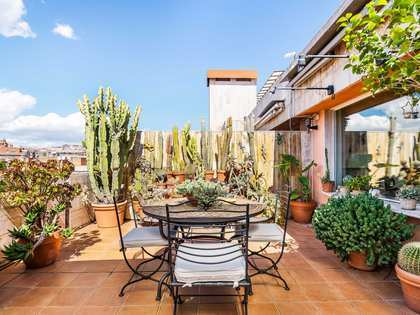 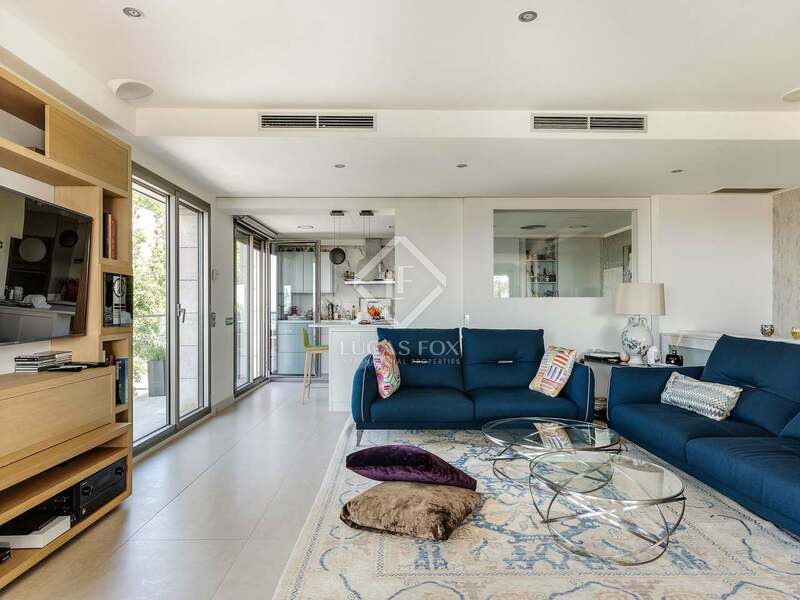 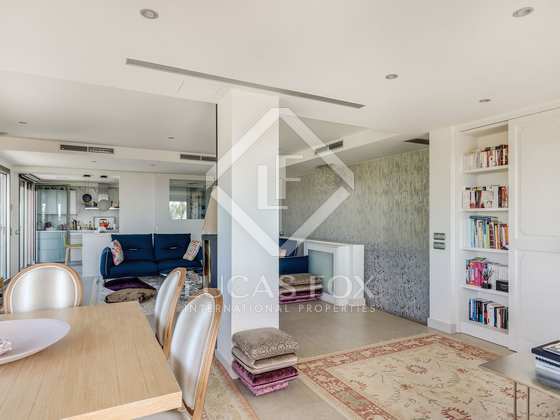 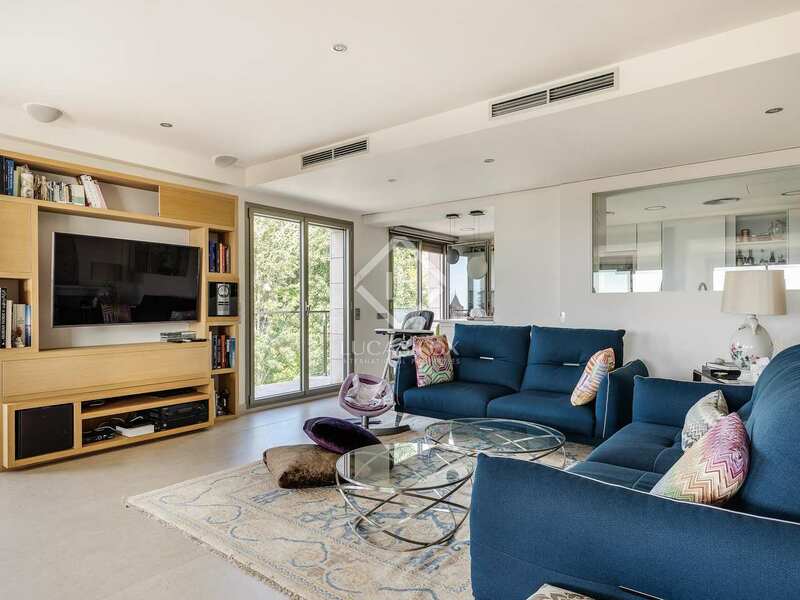 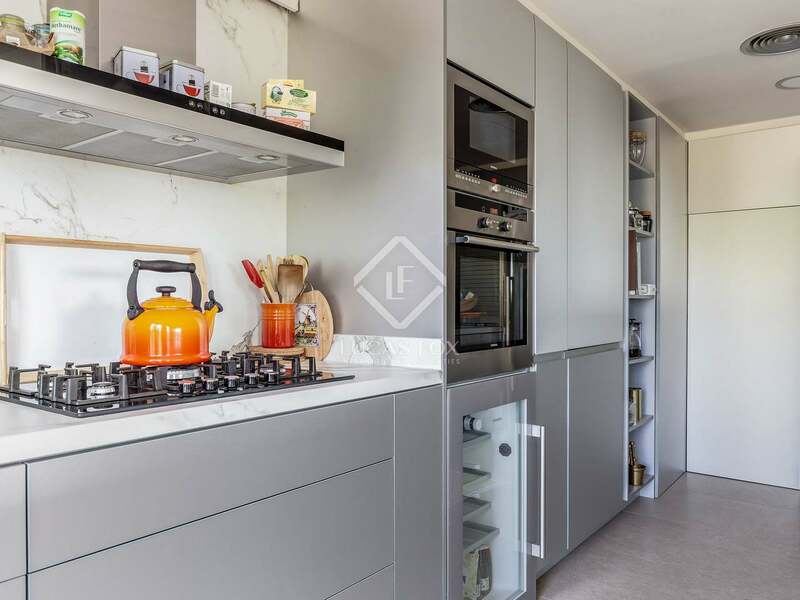 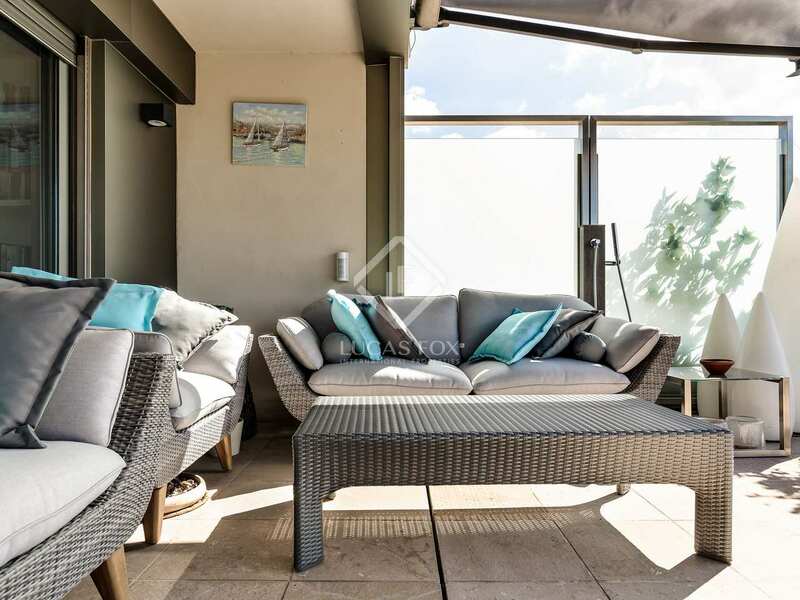 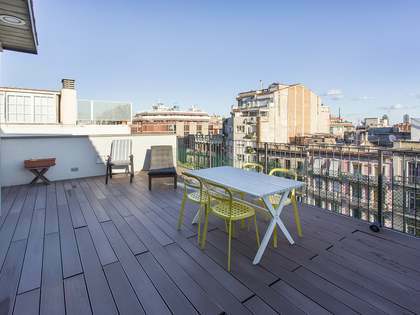 Recently renovated duplex penthouse located in Barcelona Zona Alta, with incredible panoramic views of the city and the sea, a large terrace, 2 parking spaces and a communal garden and pool. 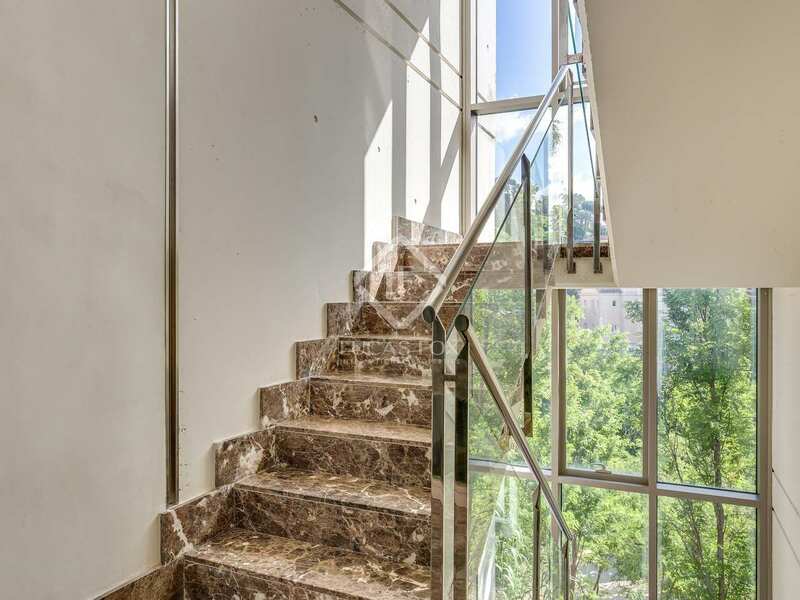 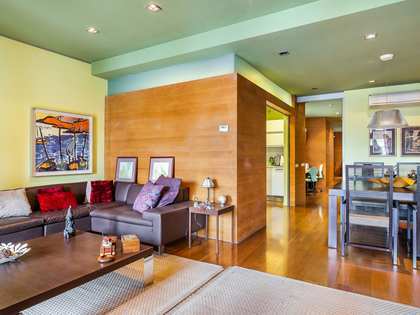 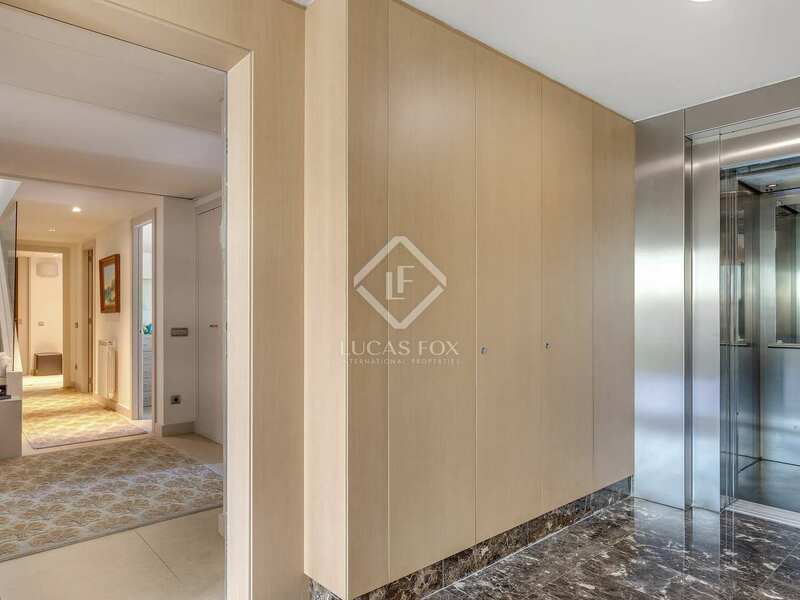 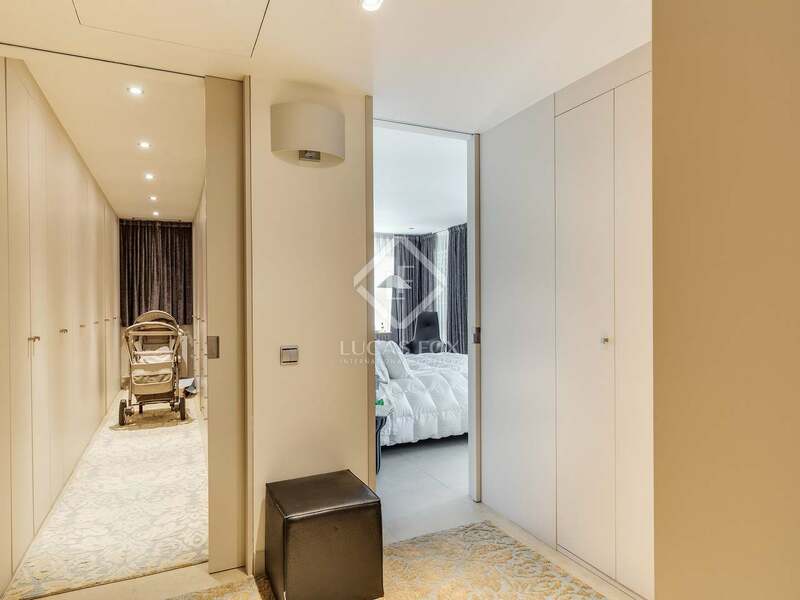 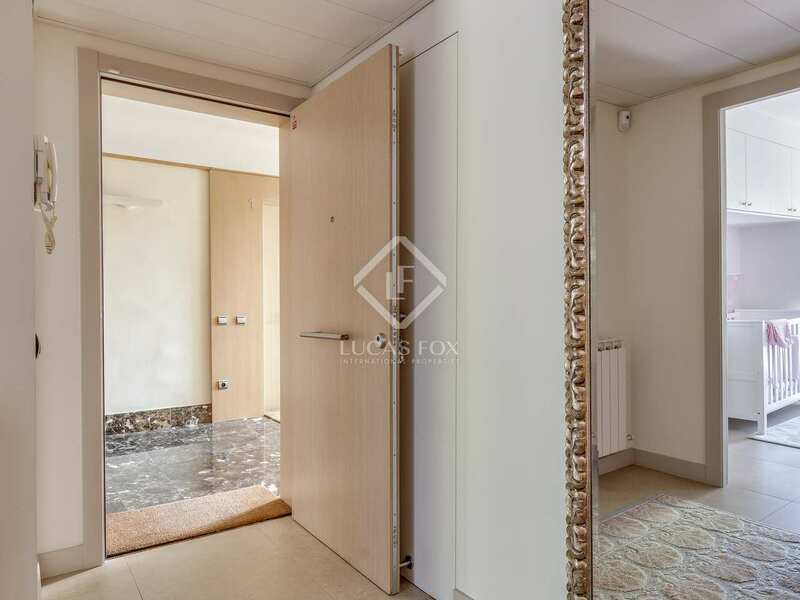 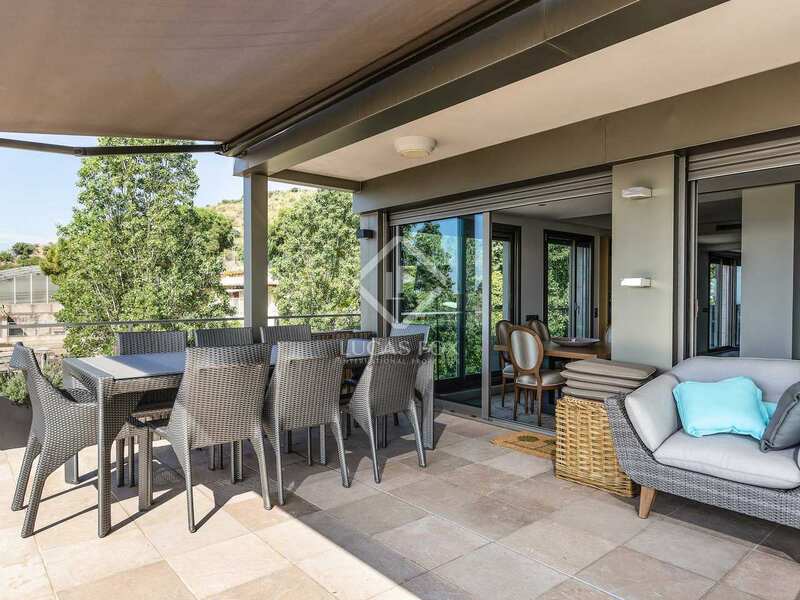 Built in 2007 and recently renovated by professionals, this beautiful duplex penthouse is a corner property enjoying abundant natural light and fantastic panoramic views of Barcelona and the sea. 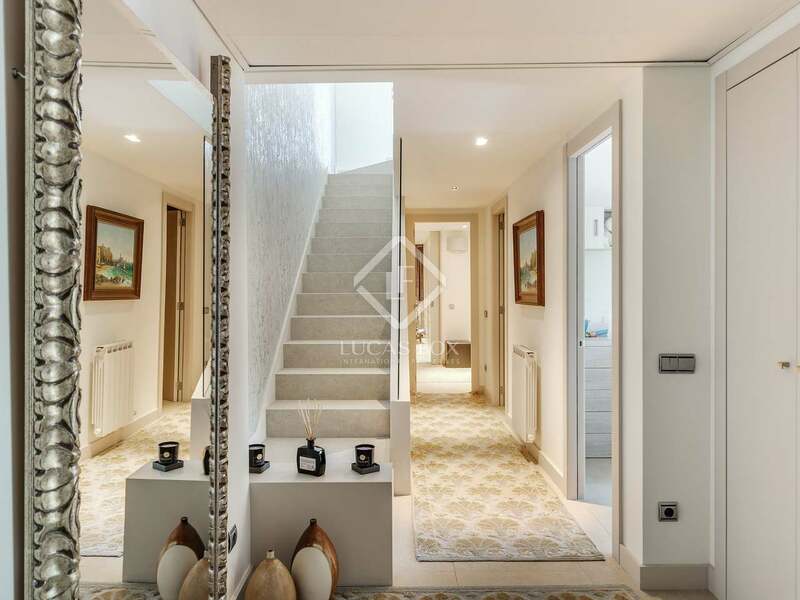 On the first floor, the entrance hall leads us to 2 double bedrooms with access to a terrace and a shared bathroom. 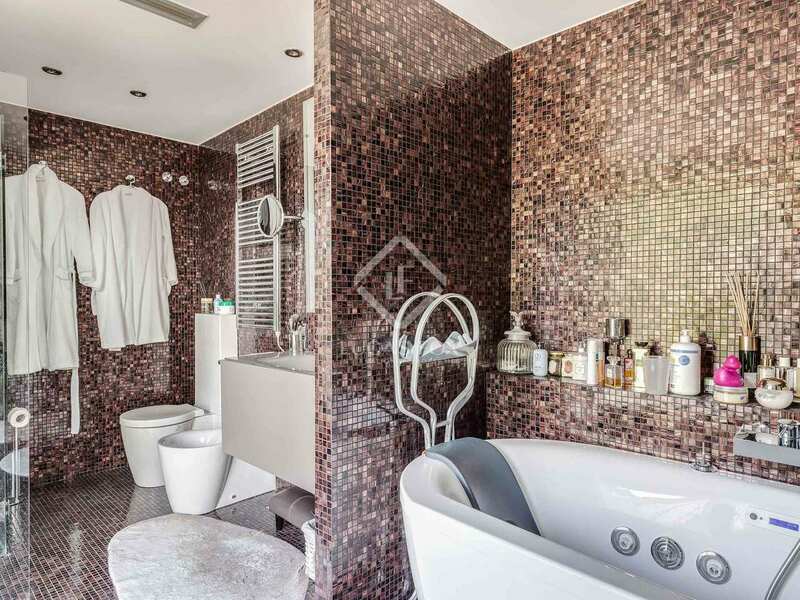 Moving on we find the master bedroom with an ensuite bathroom with a large shower and a hydromassage bathtub and dressing room. 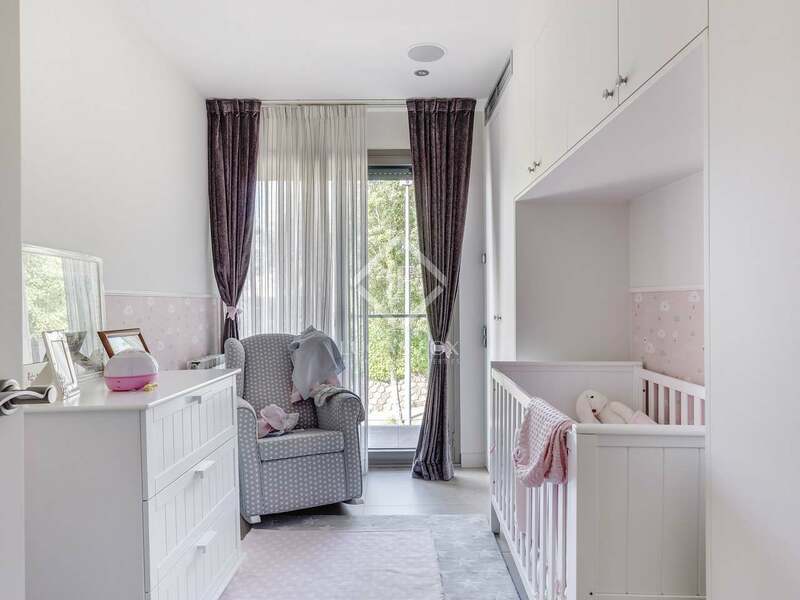 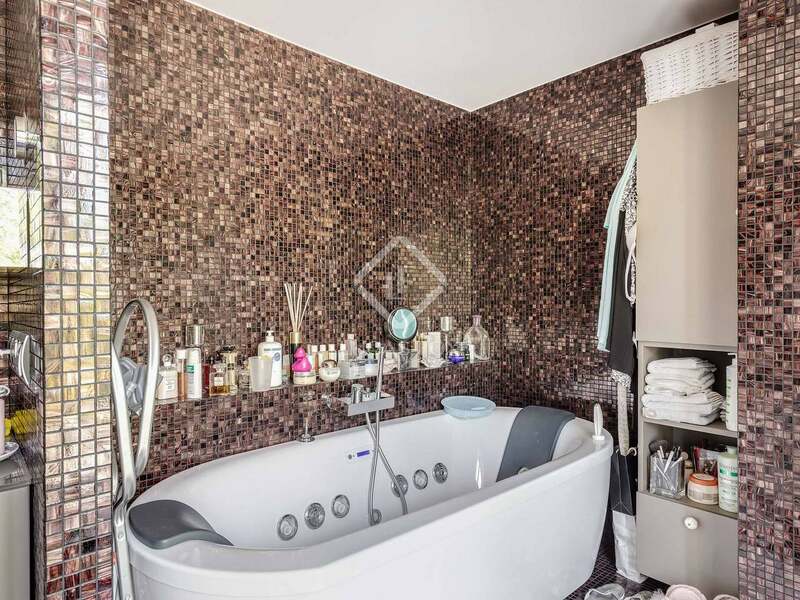 This dressing room was formerly a fourth bedroom which can be recreated as such if required. 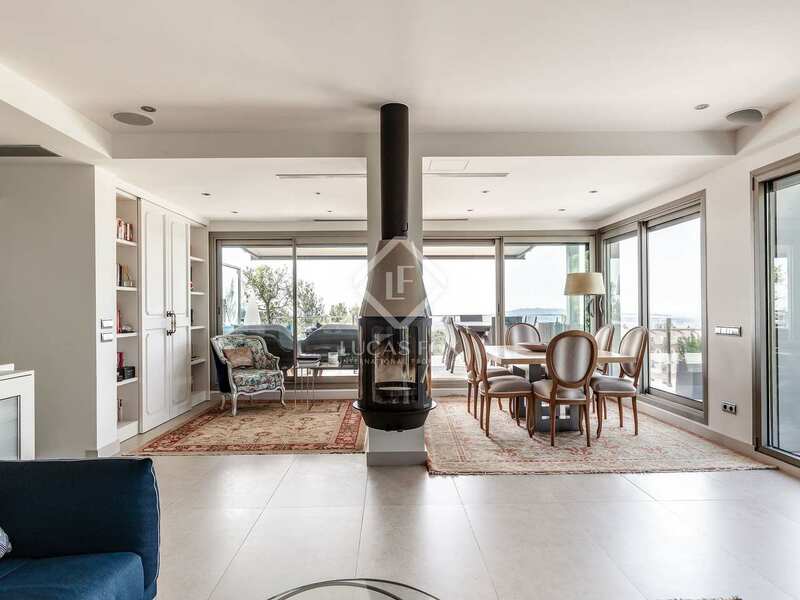 The second floor is home to the large living room – dining room with access to a terrace, as well as the fully equipped semi-open kitchen. 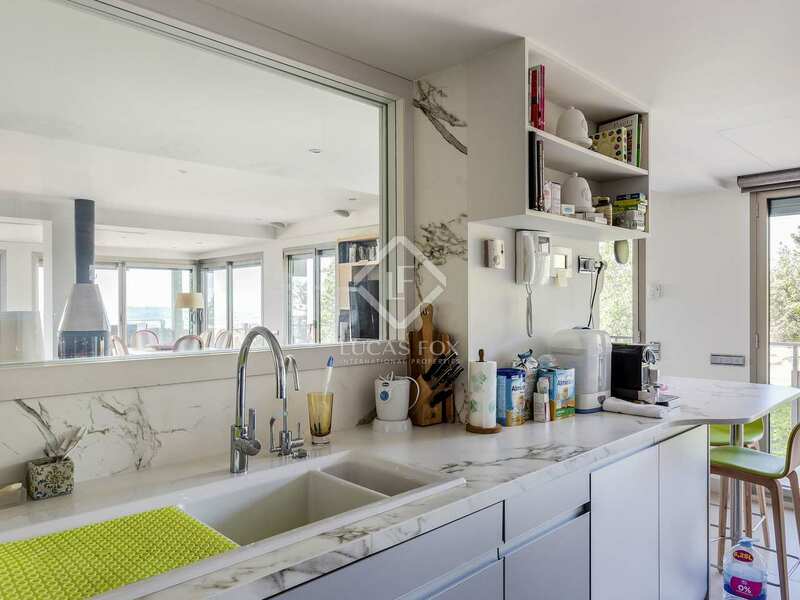 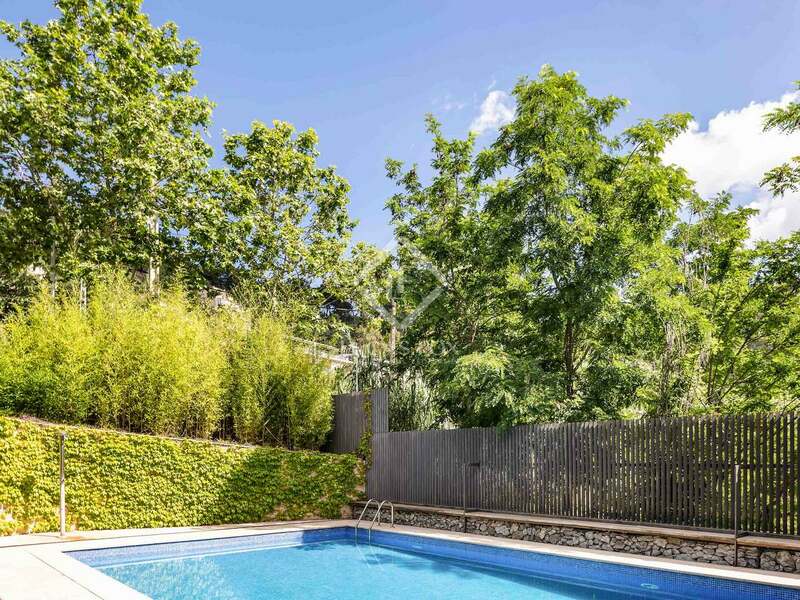 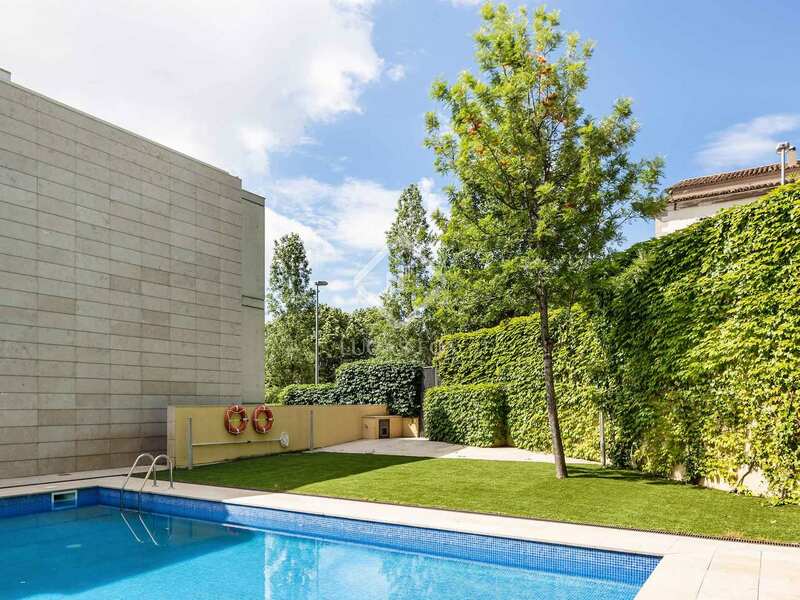 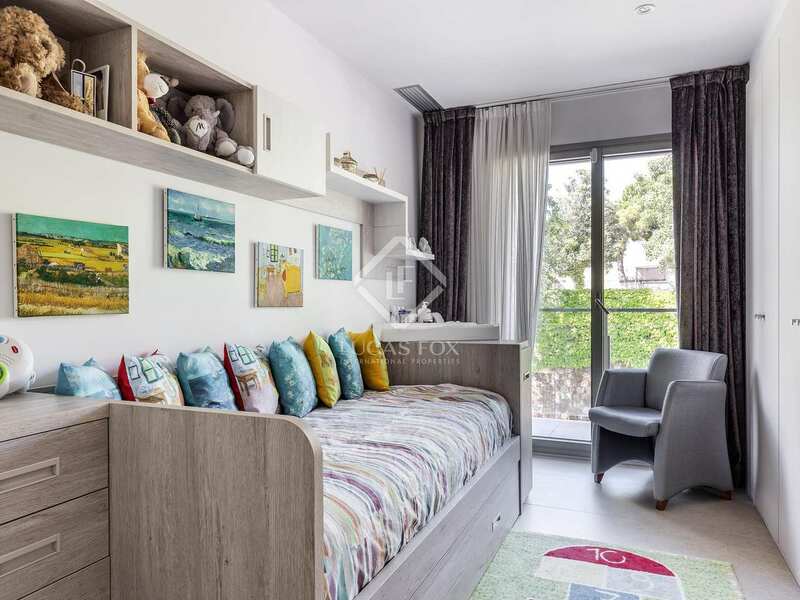 This high-end property comes with 2 parking spaces in the same building and access to the wonderful exterior communal area with a swimming pool. 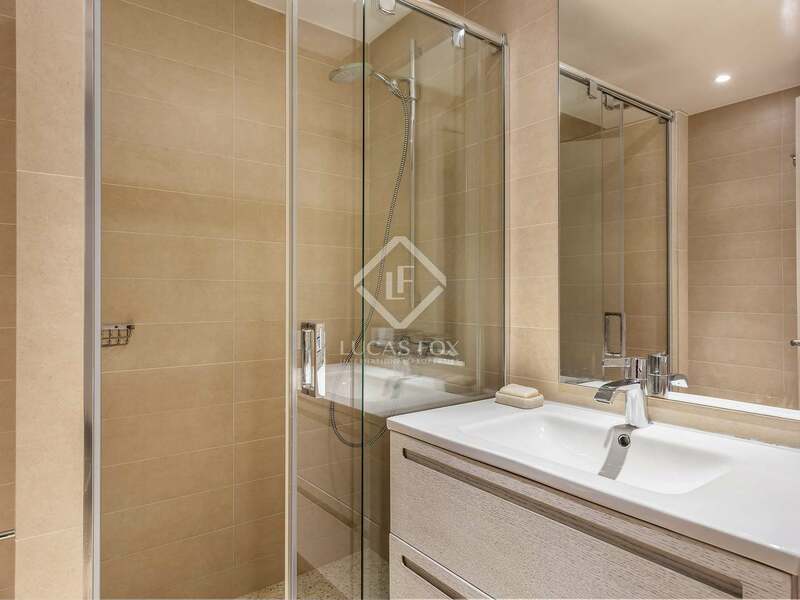 The building benefits from a concierge and 24-hour security surveillance service. 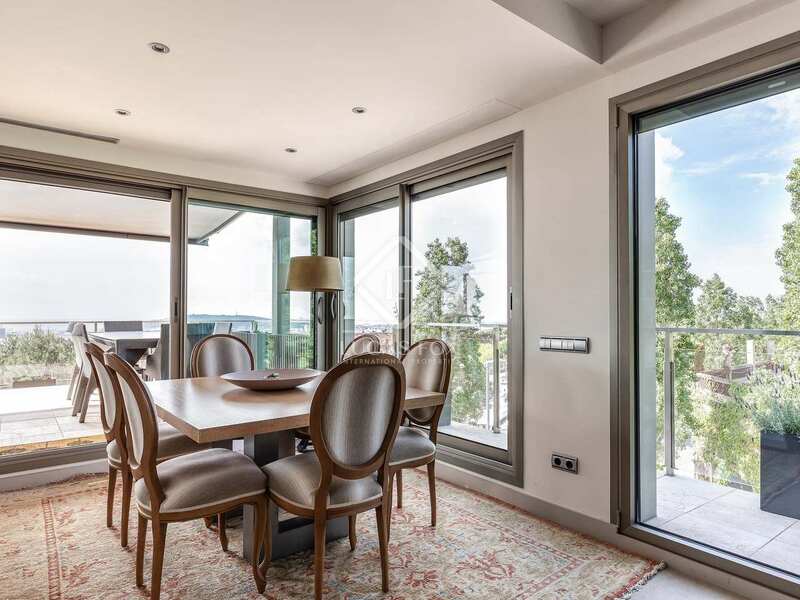 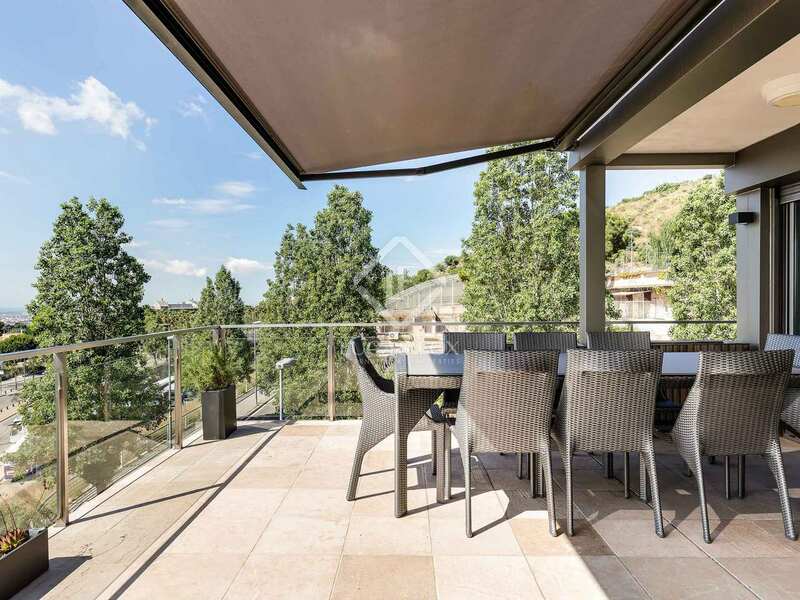 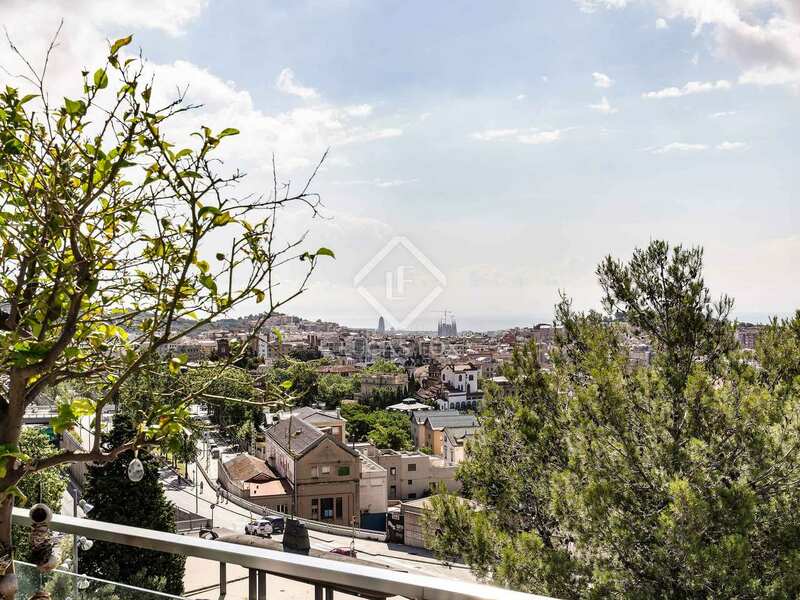 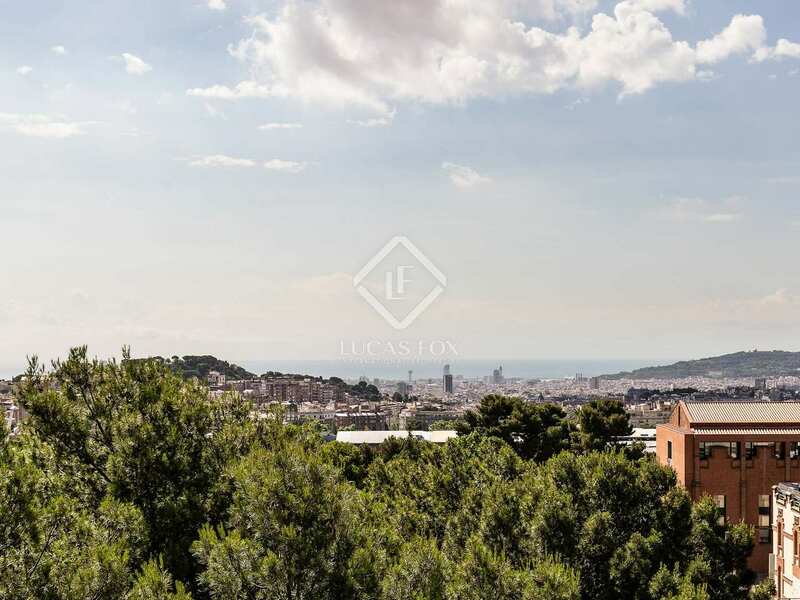 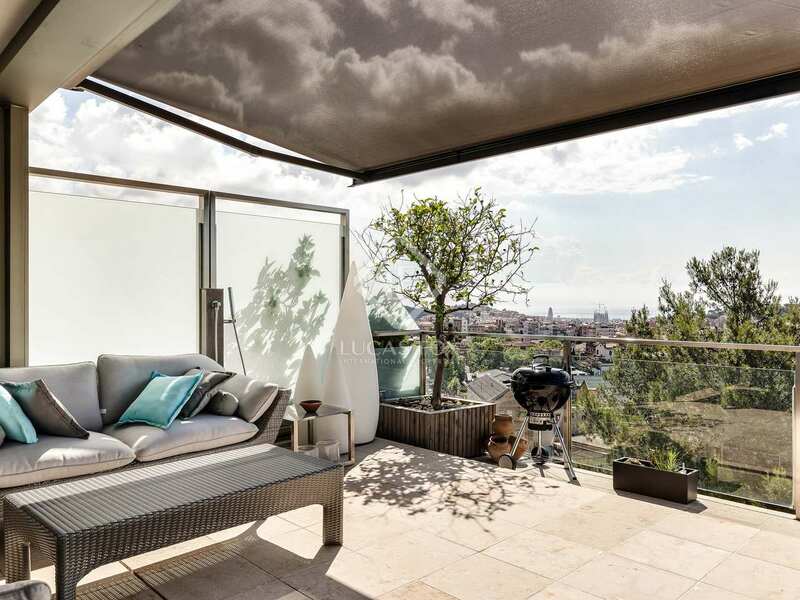 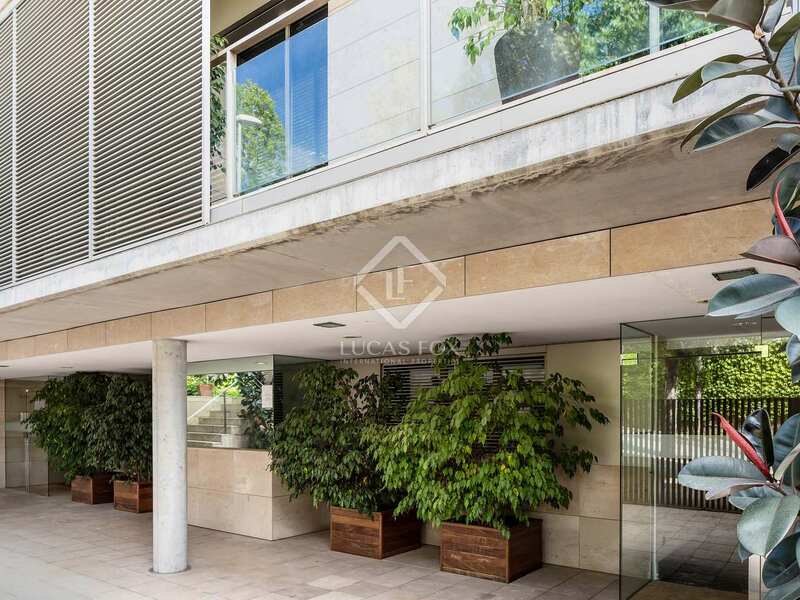 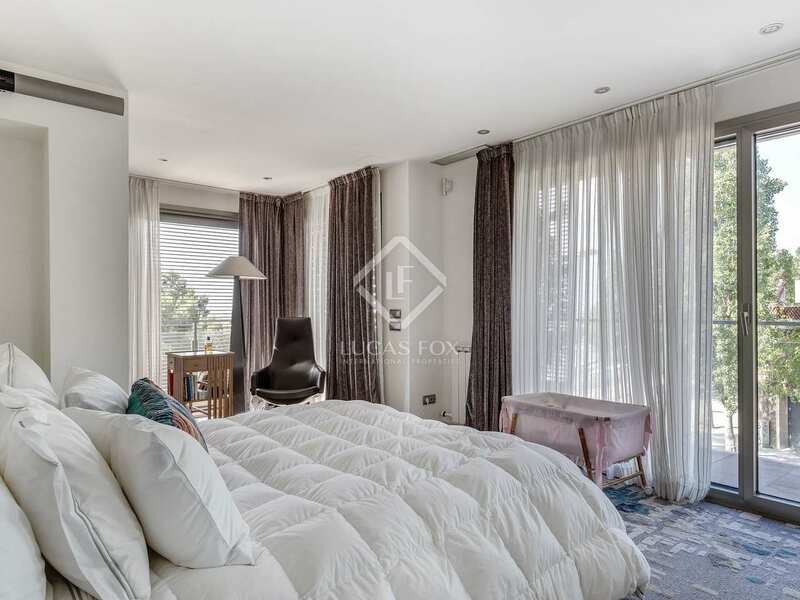 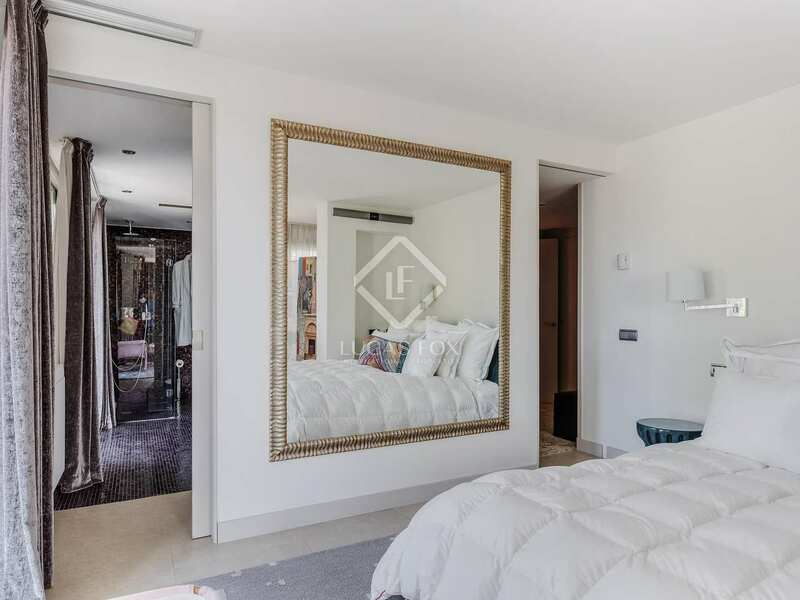 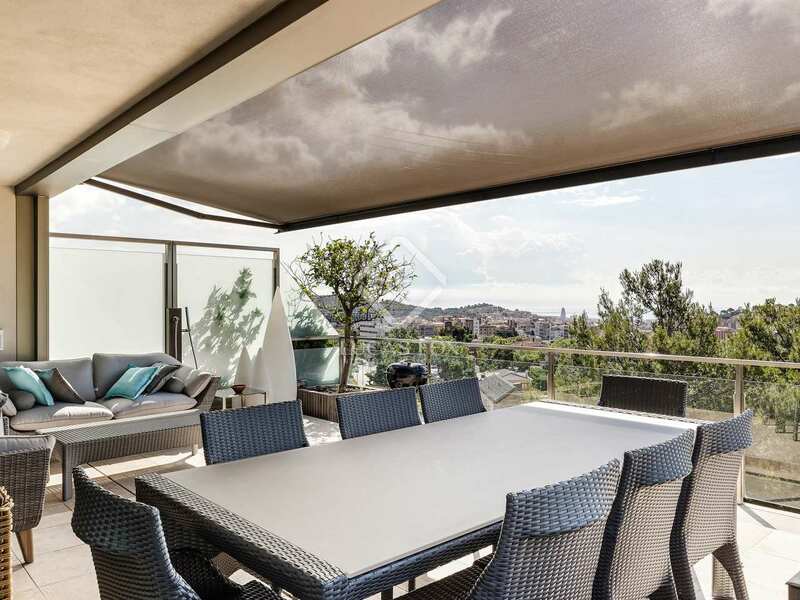 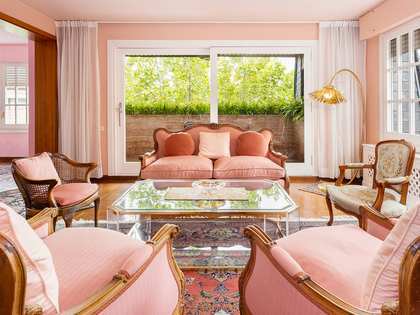 This penthouse is located in Barcelona Zona Alta, in the prestigious Sant Gervasi - La Bonanova area, close to the Ronda de Dalt with incredible panoramic views of Barcelona and the sea.